Alaska is a large and wild place, filled with incredible natural resources and some of the richest fisheries in the world. Though it is potentially a fly fisher's paradise, the diversity of its waters makes it difficult to know how to best fish each area. Tapping into local knowledge is the key to ensuring the exceptional quality of fishing that Alaska has to offer. This book reveals the most effective methods practiced by some of Alaska's greatest guides, including Nancy Morris Lyon, Chad Valentine, Dan Busch, and Luke Woodruff. These skilled anglers generously share their expertise and the techniques they've developed for every variety of fly fishing. As you gain insights into their approaches, you will learn how to choose the type of fishing and the trip that most appeals to you. Whether you're casting dry flies to grayling, swinging big leeches for steelhead, or stripping heavy baitfish patterns in the open ocean for salmon, you are guaranteed to enjoy the fly-fishing trip of a lifetime. 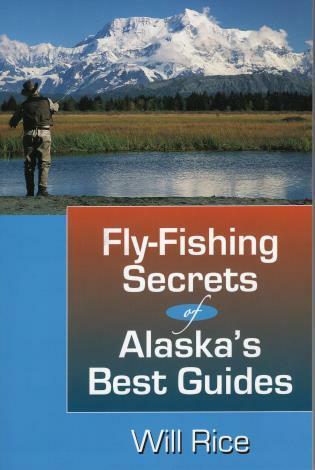 Will Rice has lived in Alaska for over thirty years and has fished most of the rivers in this book. A retired trial lawyer, he spends his free time writing articles for outdoor and fly-fishing magazines from his home in Anchorage.